Press and magazine advertising grant brands the capacity to target both broad and niche audiences across print and digital. They raise brand awareness, drive direct response, and dovetail seamlessly with other media. Having evolved and diversified alongside the rise of digital media, newsbrands now reach more people than ever before. They’re a fixture in our day: whether it’s reading a paper on the morning commute, browsing a smartphone in a waiting room, or scrolling through social media feeds. 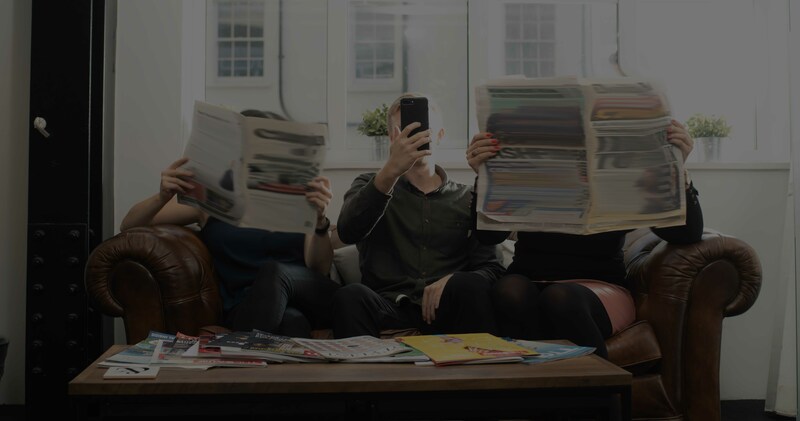 91% of British adults claim to consume content produced by a UK newsbrand each month, while 75% of British adults access newsbrands digitally. According to NewsWorks, digital also drives a 38% increase to newsbrands’ print readership. Advertising with newsbrands projects scale and prestige. Ad space with high reach is seen as the preserve of successful brands. Leveraging a contextual association with engaging Newbrand content prompts readers to think that ‘this brand is right for me’. Newsbrands drive 'reasons to buy' by stimulating rational and emotional purchase triggers with captive, quality ad formats. Press advertising evokes credibility. Feeding off the reputations of publishers, advertisers take on a sheen of authority that creates trust. Our experts can help you thrive. MoreScope was launched by Sarah Chappell in partnership with Guerillascope, a leading independent media agency. 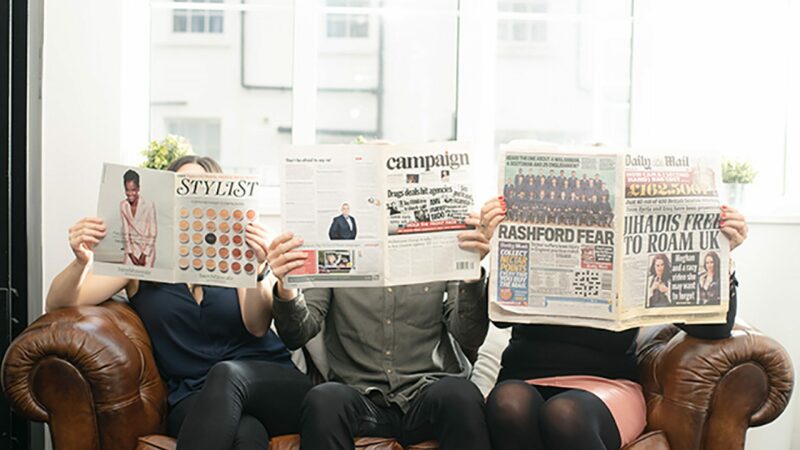 Channelling the flexibility, accountability and can-do attitude that underpin our heritage, MoreScope’s mission is to make the planning and buying of press advertising work harder and better for our clients. We’re led by a combination of specialist experience and a restless habit of thinking outside the box: qualities that mean we go beyond conventional wisdom to position your brand in the right place, at the right time, and at a price that’s right for you. Leveraging our close ties with some of the biggest newsbrands in the country, we thrive on developing plans primed for driving sales activation, raising brand awareness, and heightening the effectiveness of wider campaign strategies. We deliver detailed and regular reporting that places response analysis at the heart of how we work. From this we can optimise your activity, boost your ROI, and make your budget go further. News spreads fast, so we make it our mission to keep up! Want to capitalise on a last-minute opportunity or exploit new performance insights? We're purpose-built to work closely with agile brands. The 'more' in our name isn't an empty use of letters. When choosing us as a partner, you get a dedicated account manager that puts in more to deliver more. We're always just a phone call or email away.